Website Design and Development Contract, also referred to as Web Design Contract or Website Design Agreement, Web Development Contract or Website Development Agreement, is an essential part of professional web development service. It is a formal document that determines project requirements, service stages/phases, payment schedule, deadlines, pricing, general as well as specific conditions for a given web design and development project. The effective collaborations and professional web design and development services start with a well written and clear contract. A contract for building a website or web application protects you, as a client, and the company, as a service provider, in different situations and force-majeure events that may arise during the web design and development process. This document lays out all must-have clauses of the project development and helps to avoid any confusion or disagreement when it comes to each party’s responsibilities. The web development contract (web design contract, website design agreement, web development contract, website development agreement) makes both parties feeling on the safe side when it comes to paying for services rendered. The contact typically covers every web design and development aspect and indicates the top web project creation procedures. The contract indicates work schedule and outlines the development stages, including deadlines that have to be met. It dictates who is responsible for what and what is expected of both parties throughout the term of the contract. The contract determines the pricing for the given project and makes it clear to the client what for he/she will pay, when to pay and how to pay. 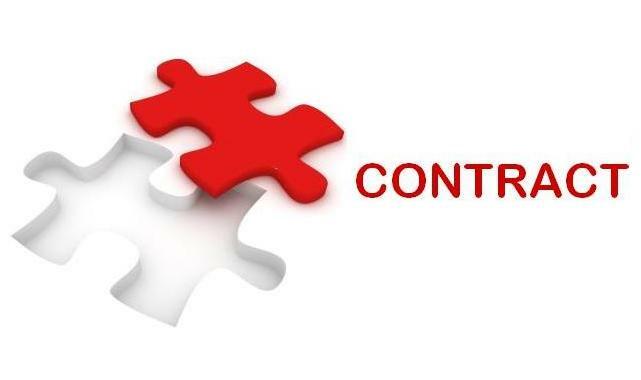 The conditions under which the contract can be terminated and the conditions under which the contract can be changed/amended are also described in the document. Website Design and Development Contract (also Web Design Contract, Website Design Agreement, Web Development Contract, Website Development Agreement) builds mutual respect and good relations between the client and a web development company. Be sure you agree with all the conditions of the contract before you sign it. Having the perfect contract is a vital part of the web development services. Each web project requires its own web development or web design contract and agreement. For the website design and development contract, you should have the responsible person for the contract as you have to submit the project within time specification.